Plan your Fringe Binge easier with the Favourites function on the website. Give the gift of Fringe this Christmas with a Gift Voucher. 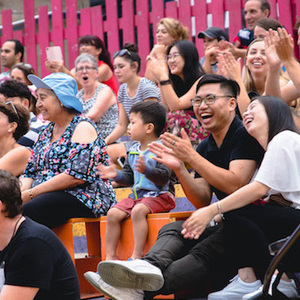 Put FRINGE WORLD’s new central hub at Yagan Square high on your Festival destination list in 2019! We’ve released 50 events in the 2019 program and everyone can read about them now, but only our FRINGE WORLD Friends can start buying today through TeaserTix. Start enjoying the benefits of being one of the FRINGE WORLD Friends in October with TeaserTix. › What's up with the bees?! 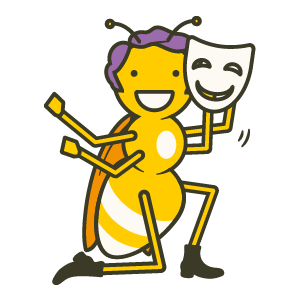 Keep an eye our for our new characters when you are buzzing around FRINGE WORLD. 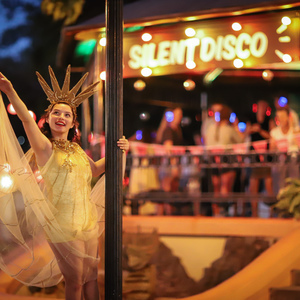 › What is FRINGE WORLD? It’s the largest annual event in WA and the third largest Fringe in the world!